These advanced facials are designed for clients, who are unsure what to book or what their skin needs. During your visit and after a consultation, together we can decide what you would like to achieve using a combination of equipment and products. 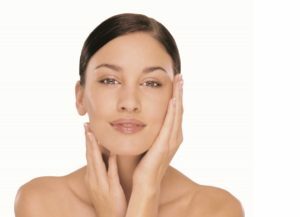 Combine any of the following CACI Jowl or Eye lift, Guinot Lift, Environ, AlumierMD, DMK or LED Medical Grade Light Therapy. Select the required treatment, depending on time and budget restraints.